Through an equity lens, the CASEL 5 SEL competencies of self-awareness, self-management, social awareness, relationship skills, and responsible decision-making can support the development of justice-oriented, global citizens. The CASEL 5 SEL competencies promotes intrapersonal, interpersonal, and cognitive knowledge, skills, and attitudes that support lifelong success. When used as part of a systemic districtwide effort to promote SEL and equity, this framework can further support the development of communal values and positive ethnic-racial identity. Particularly for youth whose cultures and racial-ethnic groups are historically marginalized, this can help minimize the negative impacts of internalized, interpersonal, and institutional oppression and provide ways for students and adults to constructively and collectively respond to injustices. SEL competencies can also promote greater understanding of different cultures and power dynamics, and support students and adults in building relationships and interacting with others across diverse backgrounds. 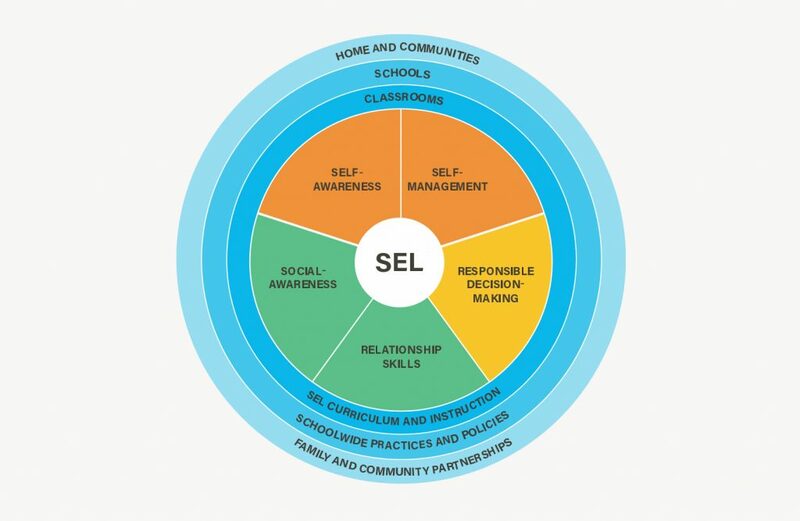 In this way, SEL competencies can be leveraged to develop justice-oriented, global citizens, and nurture inclusive school and district communities. Self-awareness is foundational for equity. It involves understanding your emotions, personal identity, goals, and values. This includes accurately assessing your strengths and limitations, having positive mindsets, possessing a well-grounded sense of self-efficacy and optimism. Understand the links between personal and sociocultural identities that are defined by cultural and/or family values, ethnicity, race, socioeconomic status, gender and other factors. Recognize biases and understanding how thoughts, feelings, and actions are interconnected. Self-management includes regulating your emotions, stress management, self-control, self-motivation, and setting and achieving goals. It’s important to examine an individual’s self-management in relationship to a larger context. Schools, like most other U.S. social institutions, can often prioritize middle-class American cultural values, norms, and practices. For students, such as low-income or immigrant youth, who experience a cultural mismatch between school and home life, this can often lead to a type of stress associated with health and behavioral problems. Additionally, experiences of discrimination and microaggressions can also lead to negative social and emotional outcomes and behaviors. Cope with the stress of adapting to school culture. Cope with discrimination and prejudice. Develop a sense of agency, identify societal challenges and pursue individual and collection solutions. Social awareness involves the ability to take the perspective of those with the same and different backgrounds and cultures and to empathize and feel compassion. Understand social norms for behavior in diverse settings. Recognize family, school, and community resources and supports. Recognize and examine potentially competing cultural and race-related messages and expectations. Explore the importance of different types of diversity in classrooms, school, and community settings. Recognize issues of race and class across different settings. Assess power dynamics and how these dynamics can disadvantage others. 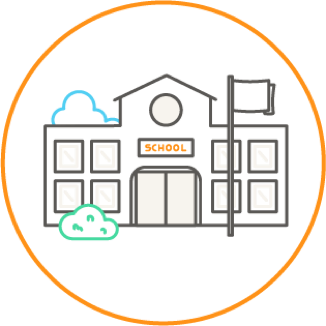 Envision ways to co-create safe and constructive learning environments. Relationship skills involve building relationships with diverse individuals and groups, communicating clearly, working cooperatively, resolving conflicts, and seeking help. Develop cultural competency skills, which includes building relationships with those from different backgrounds in a way that values their culture and history. Learn about and navigate cultural differences (for example, by “code-switching”). Collaboratively problem solve across differences in race, culture, gender, and social roles. Responsible decision-making refers to considering the well-being of self and others; recognizing one’s responsibility to behave ethically; basing decisions on safety, social, and ethical considerations; evaluating realistic consequences of various actions; and making constructive, safe choices for self, relationships, and school. Engage in initiatives and to co-create solutions that are inclusive, equitable, and mutually supportive. Develop an understanding of systemic or structural explanations for different treatment and outcomes. Assess the impact of personal beliefs and biases. Reflect on how actions taken by individuals, group and institutions impact equity. Make caring, constructive choices about personal behavior and social interactions across diverse settings. Read more about how SEL competencies can support equity in Equity & Social and Emotional Learning: A Cultural Analysis.